While perseverance is something we work on throughout our day, one of my favorite way to develop a growth mindset is through logic games and logic puzzles. We even have a Growth Mindset Center on our Math Rotation Board (you can see it in the bottom right corner). Over the years I have packed my shelves with a variety of games and puzzles that help challenge my learners. Some I purchased with high hopes, only to watch them go unused by class after class. 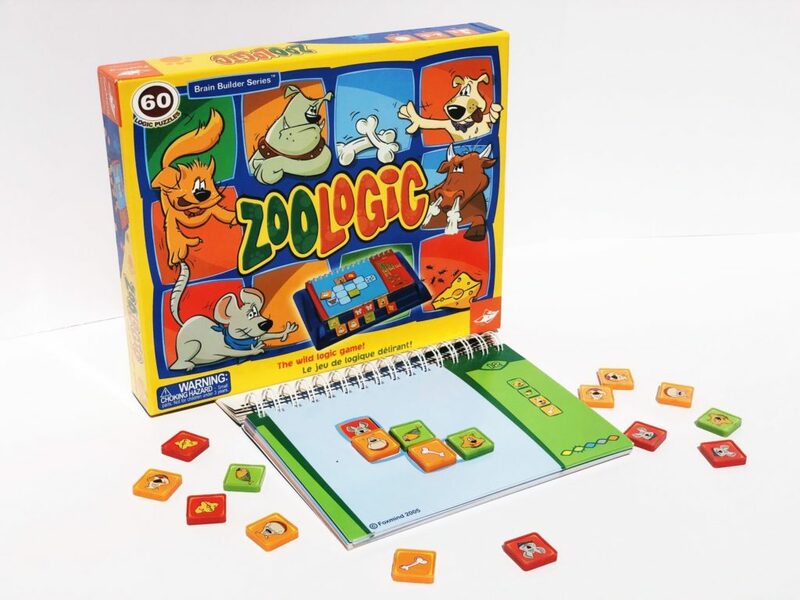 Others, however, were huge hits and I have actually had to replace because they have been so “loved.” Today I wanted to share my student’s FAVORITE logic games and puzzles with you so you can begin to develop your own library of challenges for your classroom! You can click on any of the images or game titles below for an Amazon affiliate link, where you can find a full summary and reviews of each book. If you happen to order a game from the link provided, a I earn a small percentage of that sale, which goes towards the maintenance of my blog. I cannot list the amount of reasons I love this game because it would take me all day! The most important reason is that my kids are OBSESSED! This is always their number one choice, and I actually have had to purchase 10 for my classroom over the years to keep up with the demand (and there are still always kids waiting for their turn!). Don’t worry, they’re only about the size of your hand, so they don’t take up much space in the classroom! 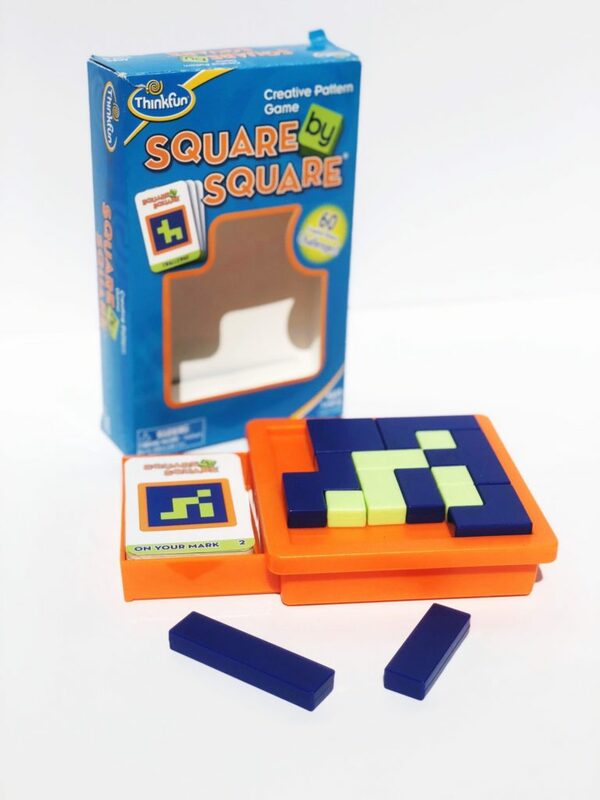 It is a great way to develop visual-spatial skills while students work through each challenge. Like many of the logic games and puzzles I’m going to share, the challenges in this game get harder and harder as you move on. Students are given a prompt that shows where the first few pieces should be placed, and then what it should look like when completed. They have to figure out how to place the remaining pieces to match the final image. 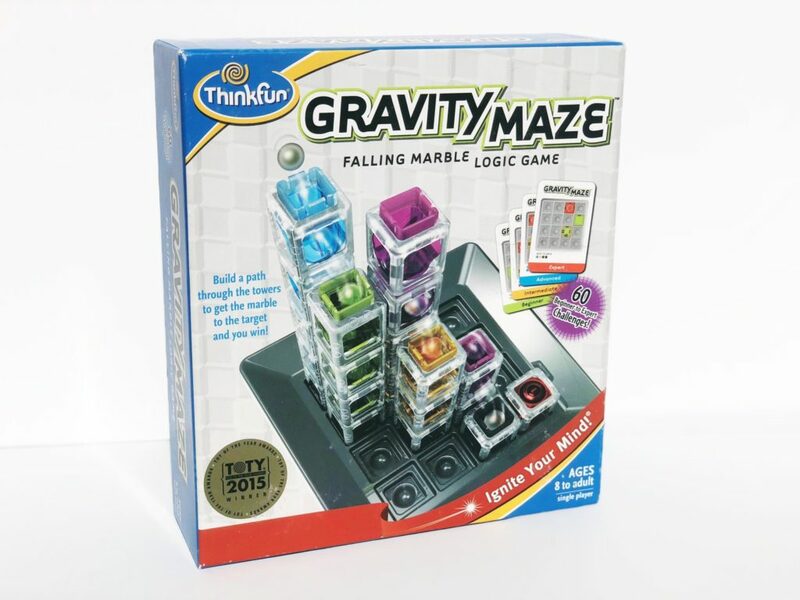 These begin as 2-dimensional challenges, and slowly move into 3-dimensions, where students create pyramids and a variety of other formations! There are only visual directions in this game, making it very inclusive for your struggling readers and ELLs. This is NOT tic-tac-toe! 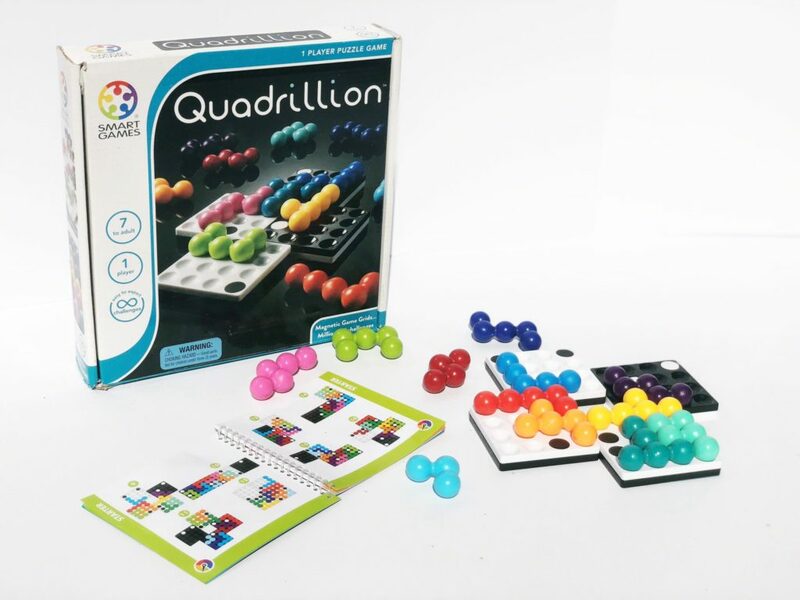 It is a very sophisticated activity that challenges you to appropriately place 9 pieces on the board given a series of visual directions. Again, each puzzle gets harder as you move on. I love how the puzzle only gives you partial clues. For example, look at the directions for the circle in the image above. All we know is that it should be placed at the top of a column of three. That could be ANY of the three columns on the board, so you have to use the other clues to eliminate two out of the three possibilities! This is another activity with only visual directions in this game, making it very inclusive for your struggling readers and ELLs. The title had me from the beginning, but it’s such a fun activity! There are a variety of images (barrel, cart, chicken, harp, flowers, chains…etc.) and you are told ahead of time which to select for that particular puzzle. You are then provided with a series of clues to determine which order to put them in. The tree does not touch the barrel. the course is directly on the left of the harp. The barrel is directly on the right of the harp. My first few years of teaching, I struggled to find a way to challenge my students who knew their math facts! I didn’t want to give them extra worksheets, because that did nothing to IMPROVE their understanding of those math facts. It just taught them that if they finished early, they had to do more worksheets. I have written the digits 0-9 on little square tiles. Since items get lost or misplaced OFTEN when students are responsible for clean-up, I have students place them in order on the top of their board. This way, they can tell right off the bat if they are missing any. (I also have printable tiles because sometimes I run out!) Then it’s time to get to work! Students have to place ALL tiles down to make ALL of the math sentences true. There are often multiple options for a single math sentence (e.g. __ x 4 = __2 could be 3 x 4 =12 or 8 x 4 = 32). However, there is only one way to make all of them true! Their faces when they finally figure it out are PRICELESS! 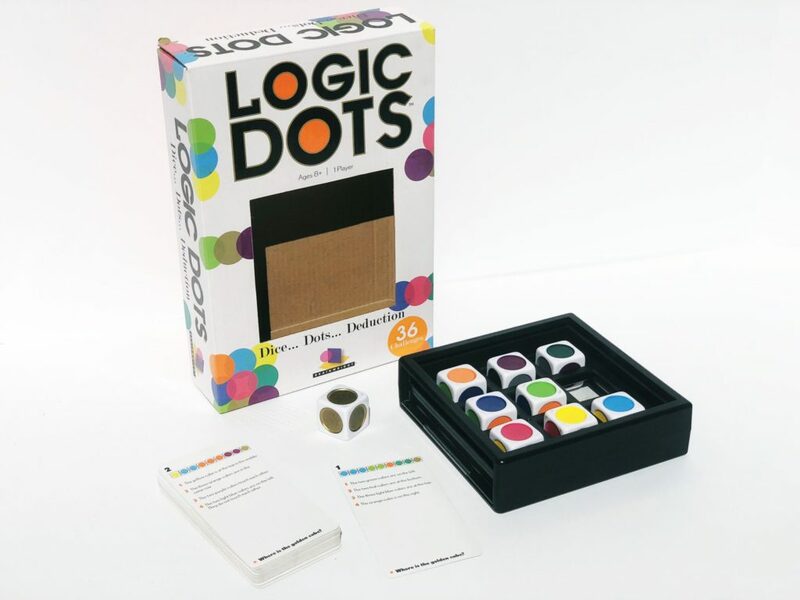 You can find these logic puzzles HERE! 5. 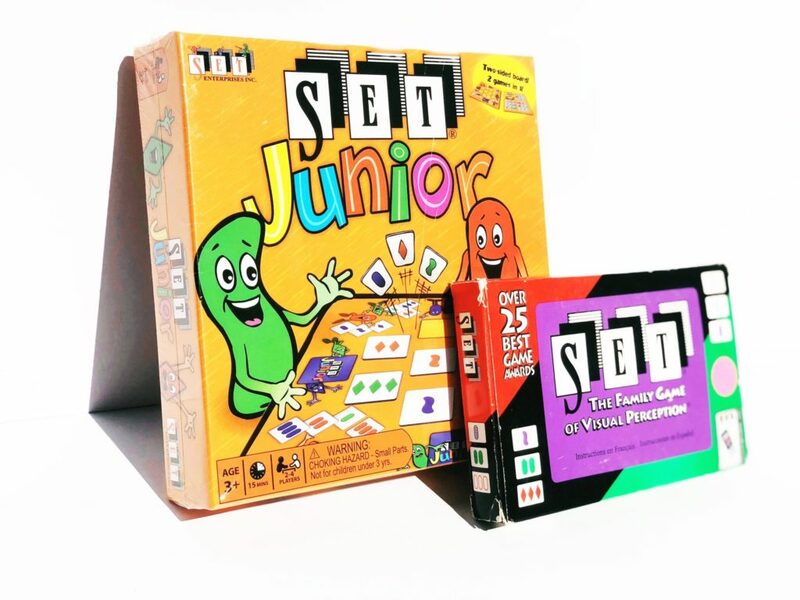 Set & Set Jr. I cannot get enough of this game (as in, my family and I play it at get togethers over a few drinks!) 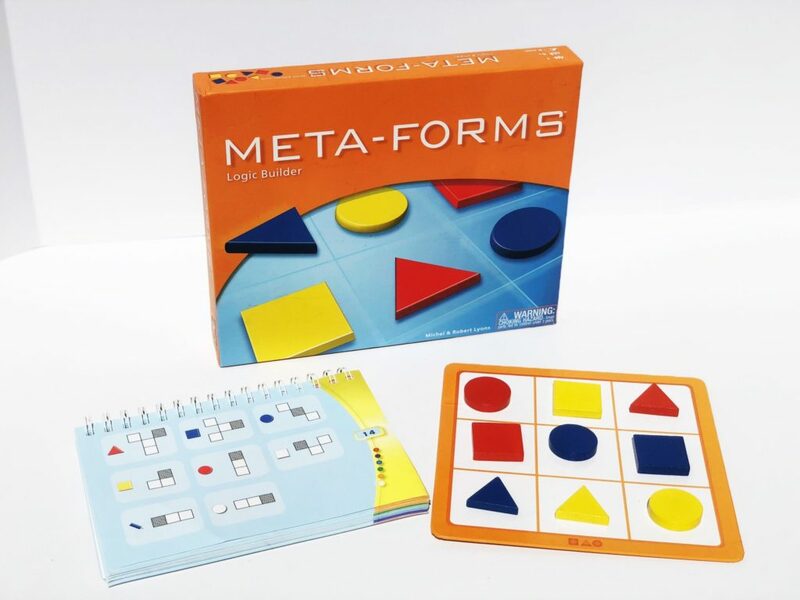 It is a game of visual perception, where you need to match items that are alike and different, using colors, shapes and patterns. I used to have the original version in my first, second and third grade classrooms, and simply modified it. However, now that Set Jr. has come out, I get to give BOTH options. This game is similar to Kanoodle, in that it really focuses on the visual-spatial thinking. 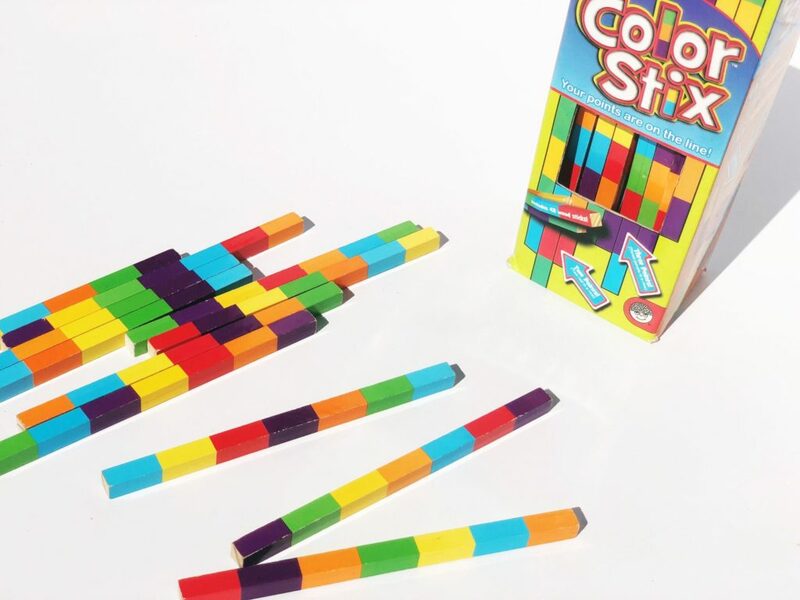 However, this game stays two-dimensional and gets progressively harder by how many pieces you are asked to use. With each level, you move the divider bar over a notch, requiring you to use another piece! I LOVE this game, and so do my students. This is one game I cannot keep on the shelf! I love how students have to physically manipulate each piece to get the ball to roll from the pre-determined starting point to end point. It’s’ fascinating to watch students struggle with why the ball gets stuck, or moves a different way than expected. 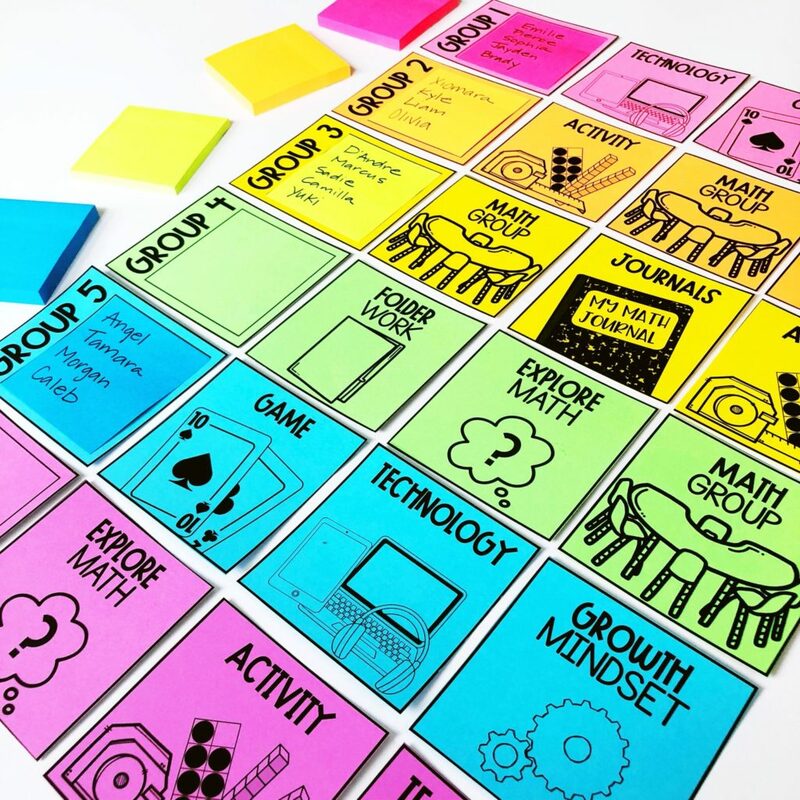 This is great for your students who really need to be working with their hands to stay engaged! It’s another language-free game, and I can’t say enough about this one! 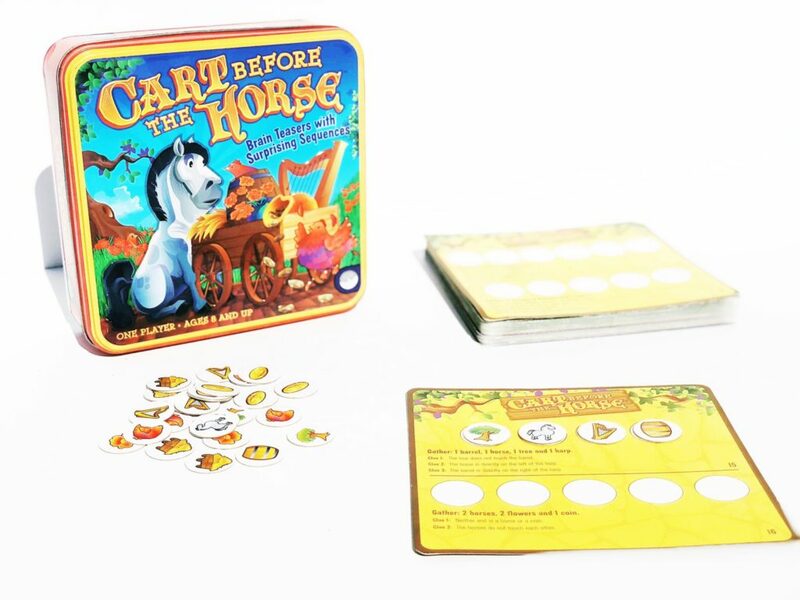 This game is very similar to Cart Before the Horse, but it uses no language. The rules about which pieces can and cannot touch other pieces are embedded into the game itself. For example, the dog cannot be next to the cat (because duh!). The cat cannot be next to the mouse (again duh!). You get the point! The rules are intuitive, so the kids never forget them. I love having this language-free option in my classroom because it ensures inclusion and collaboration amongst ALL of my students. Square by square is SO STINKING AWESOME! 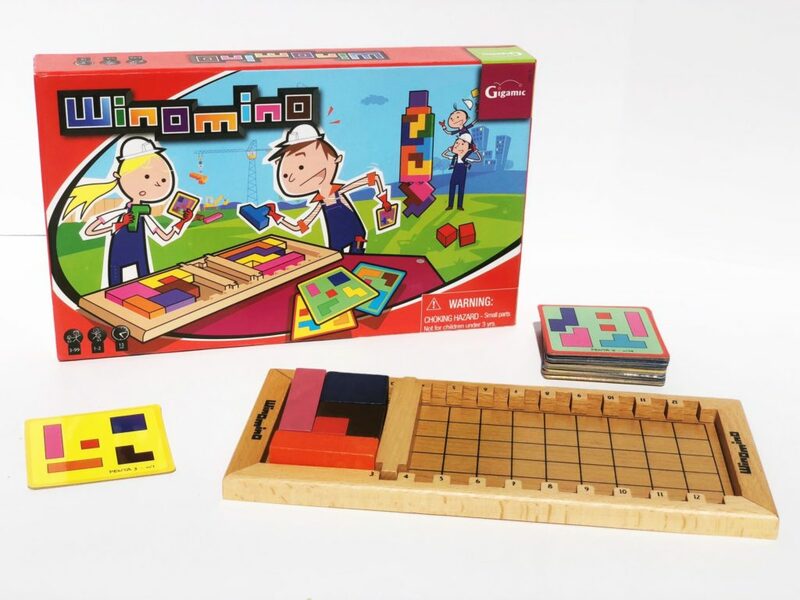 For Tetris lovers, it adds a logical element on top of the visual-spatial manipulation of the pieces! Each card (brilliantly housed UNDERNEATH the board so they never get lost!) shows an image that you need to create given the green and blue pieces in front of you. Ya’ll this is HARD, but my students always ask for it to be choice during math centers and indoor recess. How can you say no to that? 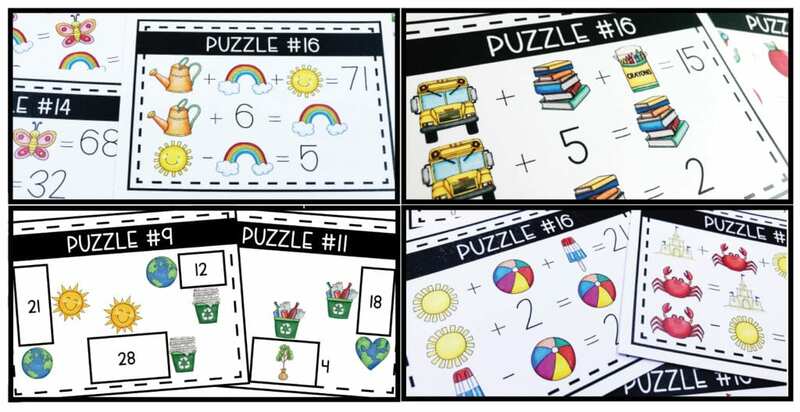 I started making these math logic puzzles when I taught first grade as another way to help my students apply what they had learned about addition and subtraction. My students just kept asking me to make more, so I made new sets, month after month. When I moved from first to third grade, I knew I had to make more, because they were such an engaging center and really pushed their mathematical reasoning skills. Now that I’m in second, I actually use three different sets (addition/subtraction, double-digit addition, and multiplication) in my classroom because they truly never get old! 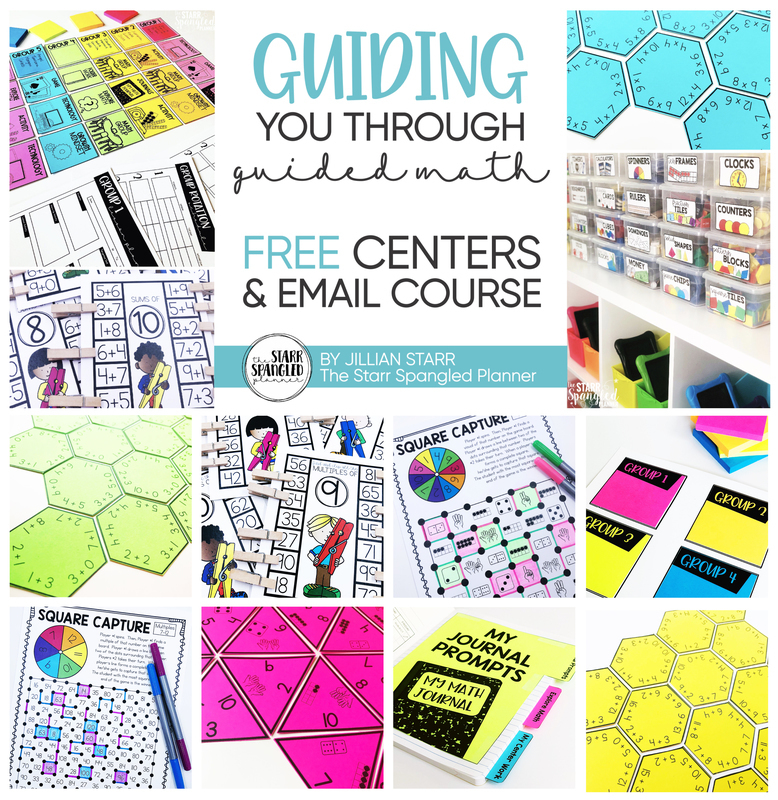 You can find these math logic puzzles HERE! These cubes are pretty with a purpose! Similar to cart before the horse, this game works in rows and columns! 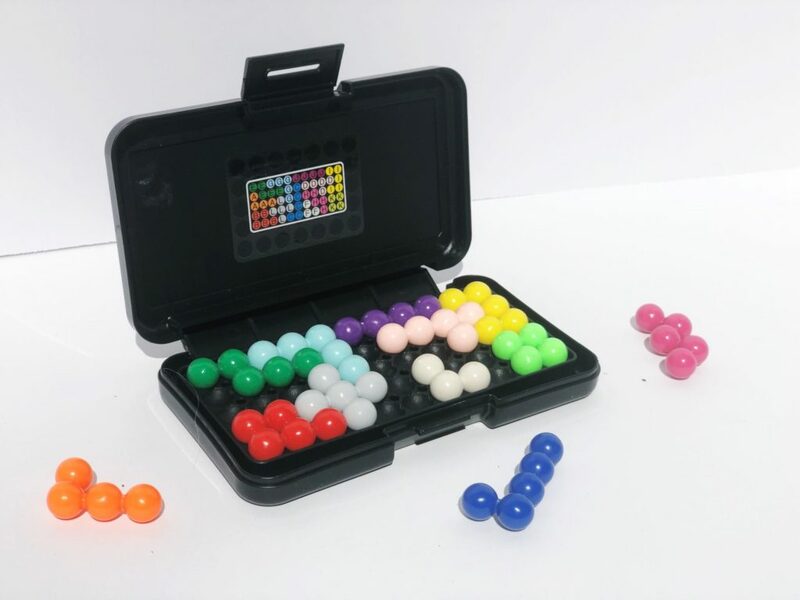 Each cube has 6 different colors, making the amount of possible puzzles seemingly infinite (which means your students will never get through ALL of them… but they’ll sure try!) I also just need to mention how easy the clean-up is for this activity. The board is also where the cubes are stored, so all the students have to do is put the cards in the bag! SO EASY! As the year goes on, I like to add this game into the mix. For my students that are obsessed with Kanoodle, they find this additional challenge FASCINATING! First, you have to place the four game boards down in a specific order (which is definitely not as simple as it sounds, and varies with each puzzle!). Then, depending on the level, you place a certain amount of pieces down by coping their placement from the directions card. Finally, your job is to take the remaining pieces and figure out how they fit onto the board. The ever changing landscape of the board makes this activity EXTRA challenging and EXTRA fun! We actually had to make a list to keep track of whose turn is was for this game, it was that popular. I mean…lasers? Who wouldn’t want to play it? I am going to say right off the bat, that you need to model this game for your students before ever putting it out for independent use. 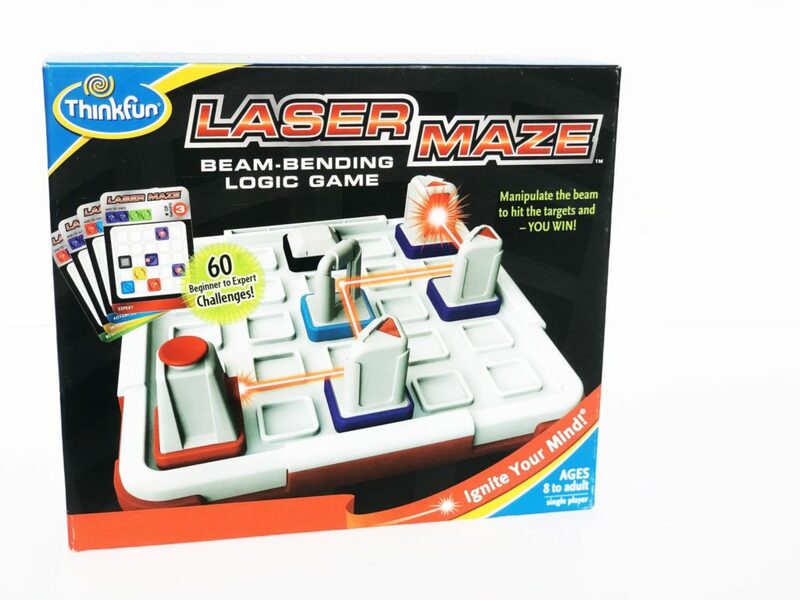 Otherwise you are leaving yourself open to lasers in the eye, pointing them at places (and people) during center time, and creating distractions. However, once I modeled the game, and explained the expectations very clearly, it wasn’t an issue. This activity is doubly awesome if you are ever teaching about light in science, or angles in math. Kids love trying to manipulate the mirror and predict which way it will reflect the light! 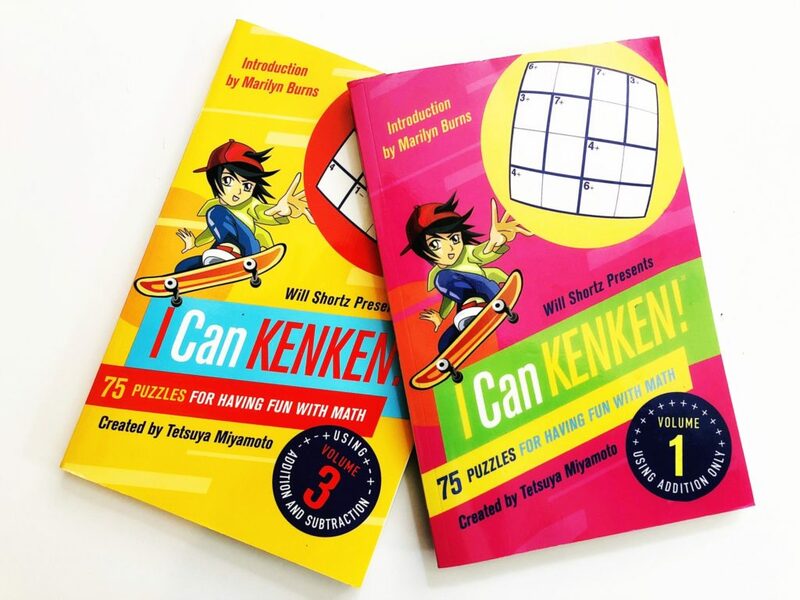 These are kind of like Sudoku puzzles, but they require you do addition and subtraction while you work! Each column and row uses numbers 1-4 once (like Sudoku uses 1-9). However, these numbers must not only be placed to use each number only once per row and column, they must also be placed so that each set of numbers in the bolded boxes “add up to” or “can be arranged in a subtraction sentence” to equal the number in the corner. For example, if the corner of the bolded box reads “6+” you know that your numbers in that bolded box must add up to 6. It’s such an awesome activity, and I have used them successfully in grades 1-3! 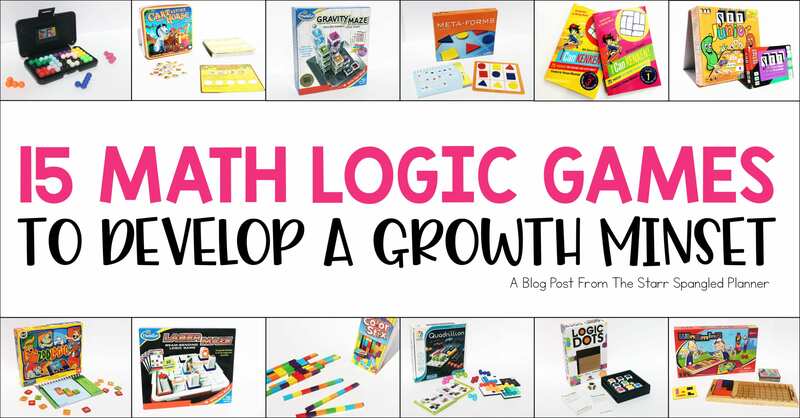 I hope this collection has inspired you to try out some new logic games and puzzles to encourage a growth mindset in your classroom. 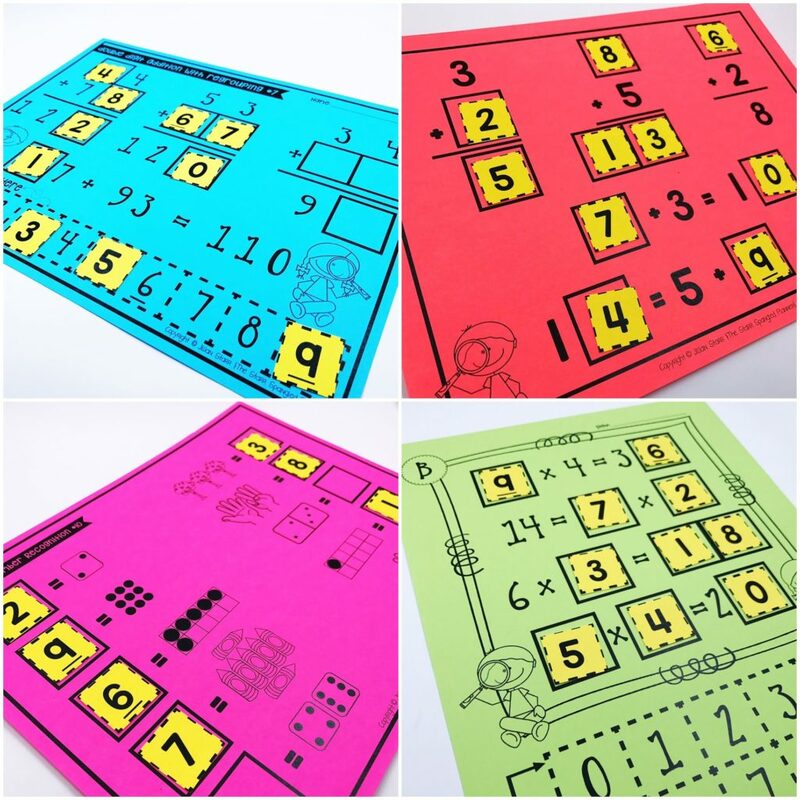 These activities help develop parts of mathematical thinking that are too often overlooked. I encourage you to find time in your daily/weekly schedules to include opportunities for your students to develop their logical thinking skills. They are so incredibly important! If you have any other games that you love, PLEASE let me know! I’m always looking to expand my library of games and activities in my classroom! Thank you for this awesome list! I can’t wait to test some of these out. In our room the kids like BattleSheep (logic/strategy), Flash, and 7 Ate 9 (card game for fast addition/subtraction facts-everyone plays at the same time.) I teach 4th graders.